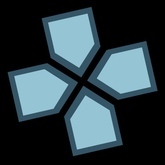 PPSSPP is the one and only PSP emulator for iOS written in C++. It is capable of running a lot of original games but, depending on the power of your device, not all may run at full speed due to restrictions on non-jailbroken devices. PPSSPP requires ROM images (.ISO or .CSO files) to play. Updated at: Oct. 15, 2018, 8:32 p.m.
Other applications in the category "Retro Gaming"